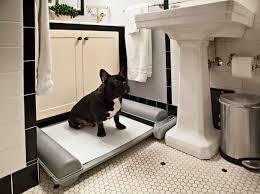 Are you tired of cleaning the dog's potty at your home? There is an answer for this issue which automatically cleans the waste, locks odor and makes you feel relaxed. The first real innovation in potty pads in 40 years, no more rushing home to make sure the dog didn't potty everywhere. 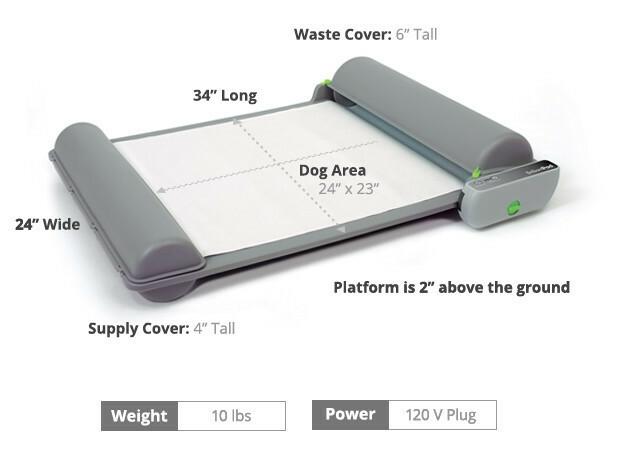 The inventors of the ScoopFree automatic, self-cleaning litter box and FroliCat family of pet toys have created an eco-friendly product 'BrilliantPad'...! BrilliantPad is an ultra-absorbent, eco-friendly pads automatically refresh to seal waste and lock odor. The system has an adjustable timer. You can set the pad to advance automatically 1, 2 or 3 times a day or manually, at the touch of a button. No-Mess Dog Potty: BrilliantPad quickly soaks up urine and begins to dry out solids on contact. Replaces Pad Automatically: Whisper-quiet motor automatically replaces soiled pad with a fresh pad. Locks Away Odor: Ultra absorbent pads, leak-free odor shield lining, and locked waste cover provide triple defense for a clean home. It rolls are 80% thinner and use 33% less material without compromising absorption or durability. BrilliantPad will retail at $199.99. Buy on IGG for up to 50% off. Replacement rolls (equal to 27 pads) work out to less than $1 per pad.